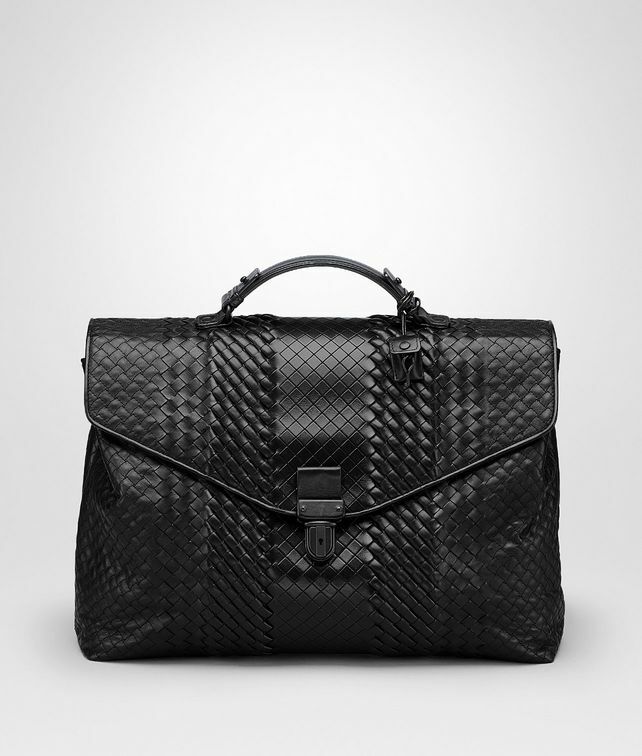 This large briefcase is the epitome of Bottega Veneta's unique craftsmanship. The Imperatore weave combines interlaced, padded and etched calf leather for a luxurious mix of textures. The sturdy handle features brunito-finish metalware and a leather pendant for the padlock keys. The flap is trimmed in smooth leather and fastened with a metal closure. The cotton-lined interior is divided into two compartments by a zipped partition and fitted with an additional zip pocket.